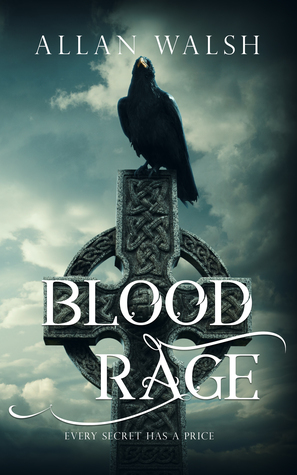 A review of ‘Blood Rage’ – I love it when readers enjoy my books. Do You Like Fantasy Maps in Your Novels? I released my first fantasy novel this year and in what seems like a bit of a fantasy tradition to me, I included a fantasy map in the front. I was just flicking through my blog pages to see if they needed an update and I stumbled across the picture. The artwork is my own and does have some rough edges, but I felt this gave it an authentic feel (though others may feel it looks amateurish). Anyway, I got to thinking, as a reader, do you like to have a map or do you just skip over it to get to the story? Personally I like them, but I’m interested in what other readers think. And for those that like fantasy maps, here is a picture of mine which can is found in the front of ‘Blood Rage’. So, what do you think? Is a map important to you? Does it add anything to the story? Please let me know your thoughts. Flying High – Nervous, Elated, Tense, and Having Fun all at the Same Time. Recently I went for an introduction to flying lesson. It was a little scary because the instructor went through the controls and then said, “you’ll be doing most of the flying today.” I thought he was joking, but oh no… he meant it. I got to taxi down to the runway, where he took control for take off, but as soon as we were up in the air he handed over to me. It was awesome, an amazing feeling to know I was flying the plane, but I was very tense, thinking of the consequences of doing something wrong. Anyway, I survived. How can I apply this experience to my writing? Well, if I could apply these emotions to my writing, the elation, the tension, having my characters in a dangerous situation, making them and my readers so acutely aware of the stakes, I would have one hell of a story. I will try to remember how this felt the next time I’m writing a scene like this, hopefully the feelings will flow through to my writing. And here are some photos for you all. Are Reviews Important To You? I thought I’d start this post by asking the question – Are reviews important to you? Do you look at a book you are interested in and then read the reviews before deciding to purchase? Or do you read reviews which interest and inspire you to purchase a book you had not heard of? I am very interested to know the answers to these questions. Why? Because as an author it is drummed into me that reviews are like gold dust. It is said that they interest other readers and convince people to buy a book. Without reviews I will struggle or even crash and burn. These are the things I hear, anyway. Because of this I have been trying to drum up reviews for my books. I have placed a note inside the covers, asking readers to leave a review if they enjoyed the book. I have sent free copies to readers for their enjoyment, stating there is no obligation to leave a review, but it would be greatly appreciated if they did. But reviews are like that elusive winning lottery ticket, you know they are out there, they do exist, but they rarely show up. And so I get to the real point of this post. I would like to say a massive ‘thank you’ to all my readers who have left a review for one of my books. Whether it be on amazon, goodreads or a blog you run, it is one of the small things you have done to help me as a writer, and for that, I am truly grateful.